Providing an “exceptional” service to its clients has earned regional accountancy group Bishop Fleming Gold status in the latest Investor in Customers (IIC) survey. It is the third time the firm, which has an office in Bath, has been recognised in successive assessment by independent customer services agency. IIC’s unique assessment process is built around four principles of client experience and seeks feedback on understanding clients’ needs, meeting those needs, delighting clients, and achieving client loyalty. 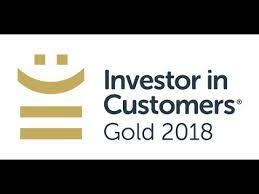 Just 25% of businesses which undertake the assessment achieve the Gold standard. Bishop Fleming’s success builds on a number of recent accolades secured by the firm, including gaining 26th place in the Sunday Times Top 100 Best Companies to Work For rankings. Bishop Fleming managing partner Andrew Sandiford said the firm the fact that the firm had improved its overall score since its last assessment demonstrates its “continuous improvement and ongoing commitment to delivering excellent client service”. Investor in Customers has surveyed more than 1.8m people and accredited more than 250 businesses since its launch in 2006. Bishop Fleming, which has seven offices and is ranked 30th in the UK’s national league table of accountancy firms, having previously been listed as Britain’s fastest growing accountancy firm. It advises SMEs, owner-managed businesses, large corporates, charities, public sector organisations and individual clients, and is acknowledged as the number one adviser to academies in the education sector.